The Texas Department of Public Safety is investigating a fatal auto-pedestrian crash that occurred over the weekend near Progreso. Jorge Gerardo Delgadillo, 35, died after he was struck by a Chevrolet Avalanche pickup truck on Gonzalez Street west of Jose Street at approximately 5:22 a.m. Dec. 1, according to DPS. Both Delgadillo and the truck’s driver, Adrian Ramirez, were traveling westbound on Gonzalez Street. 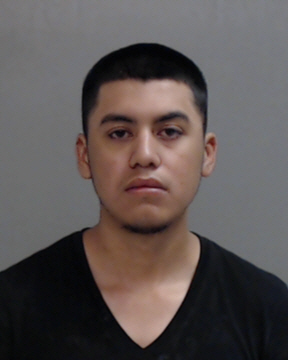 Ramirez, 20, was arrested for driving while intoxicated, his second offense, and released from jail Sunday on a $500 surety bond, according to jail records. A DWI second offense is a Class A misdemeanor carrying up to a year in jail if convicted and a possible driver’s license suspension of up to two years. He displayed “signs of intoxication” at the scene and performed the standardized field sobriety test “unsatisfactorily,” according to the probable cause affidavit tied to his arrest. DPS said Monday that the crash remains under investigation.